Never content with perfection, Pactimo has refined the Summit Bib short for 2010. This is the short that will keep you smiling on those 5+ hour training rides. This bib short combines high-performance design with Eschler Swiss PowerGrid fabric and one of the finest Italian chamois available. Cytech (Italian) Elastic Interface 2-piece chamois features all-way stretch, airflow perforations, curved anatomic shape and high-density foam. Please note this is a men’s specific chamois and is not recommended for women. 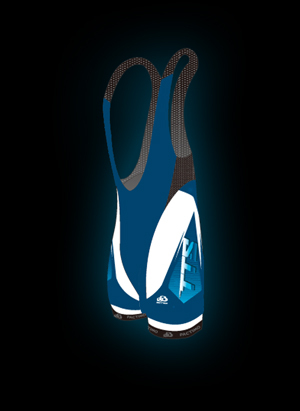 For a women’s specific chamois, please see our Women’s Summit bib shorts.